Plan early for next winter to save! Book Early for Winter 2020 & Save $300 Per Person on Flights to Jackson Hole. Receive $300 off your airfare per person when you book your roundtrip flights, lodging, and lift tickets or an equivalent winter activity. 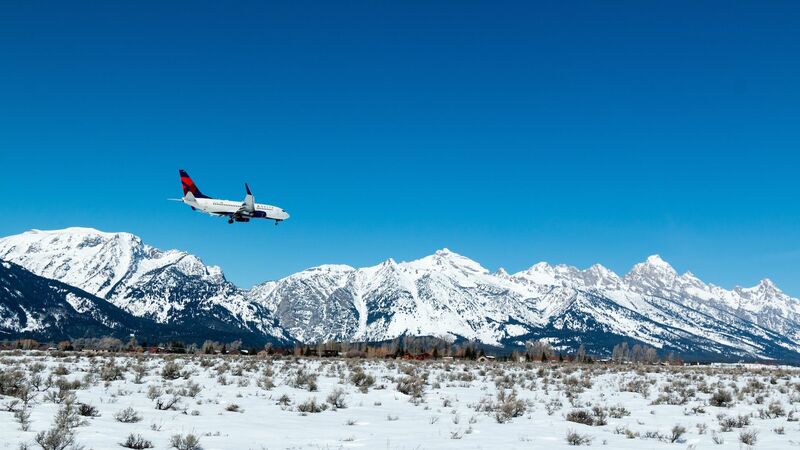 With Jackson Hole Airport conveniently located less than 36 minutes from world-class skiing and nonstop flights from 12 major US cities, getting to Jackson Hole has never been easier or more affordable. Book online or give us a call at (888) 838-6616. This airfare deal ends on June 20, 2019. Click the button below to book online or give us a call today at (888) 838-6616 to plan your Jackson Hole winter getaway. *Book roundtrip airfare to Jackson Hole, minimum of 5 nights of lodging and lift tickets or equivalent winter activity required depending on travel dates. Offer is valid when booking flights, lodging, and activity per person as a package. Flights, lift tickets and lodging both need to meet minimum night requirements. Restrictions apply and availability is limited. New reservations only. Discount will be applied to total package price, including taxes and fees. May not be combined with any other special offer. Maximum 8 people. Valid dates of travel: November 28 - December 27, 2019; January 5 - April 12, 2020. Blackout dates are December 29, 2019 - January 4, 2020. Additional baggage fees from airline may apply. Book by June 20, 2019. Receive up to $300 off your airfare per person when you book your roundtrip flights, lodging, and lift tickets or an equivalent winter activity. Call (888) 838-6616 to speak with a representative. TIP: Use the back button if you need to go back during the process.